If any of these oral cancer symptoms or signs are present for days or weeks, your doctor may recommend tests to check for oral cancer. As with any cancer, having your cancer diagnosed as soon as possible will help ensure that any treatment is as effective as possible. 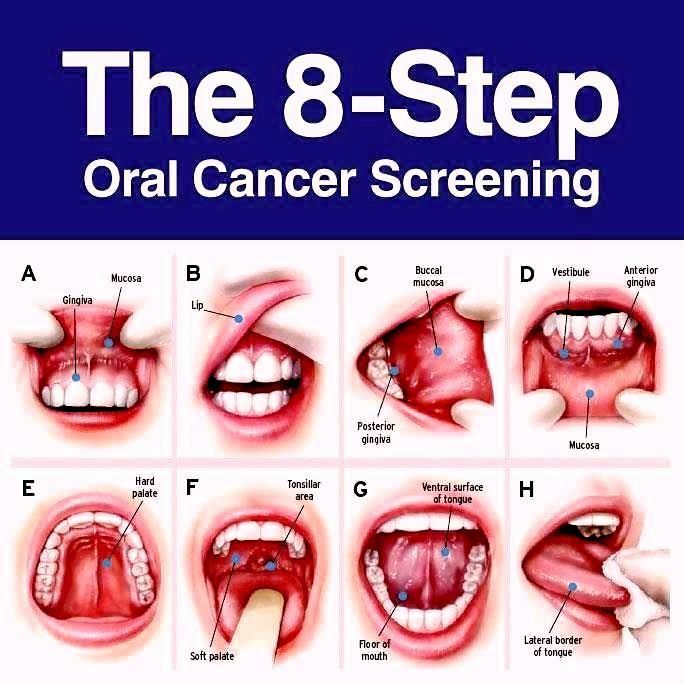 Dr. White and our staff do oral cancer screenings at all dental check-up appointments at no charge to help identify any possible signs of oral cancer and get them addressed as soon as possible. If you ever have any concerns outside of your regularly scheduled appointments we would be more than glad to schedule you for a no charge consultation with Dr. White.